Cross Country By Bus - The All New Vacation of a Lifetime! This ALL NEW incredible journey is a once-in-a-lifetime experience featuring the most memorable highlights and attractions of each destination as we drive across our beautiful country. Canyonlands by Night Dutch Oven Dinner on the banks of the Colorado River followed by Evening Cruise with sound and light show. Louisville Slugger Museum & Factory celebrates the extraordinary role Louisville Slugger baseball bats have played in the sport's past, present, and future. Along with their fascinating bat factory tour, they have galleries filled with remarkable memorabilia and entertaining interactive exhibits. "You don't have to be a big baseball fan to enjoy Louisville Slugger Museum & Factory." There's something fun here for everyone. Admission includes free Souvenir Mini Bat after the factory tour. The museum and factory are handicap accessible. Located on downtown Louisville's historic "Whiskey Row," the Evan Williams Bourbon Experience features an artisanal distillery, guided tours and educational Bourbon tastings. Celebrating the legacy of Evan Williams, Kentucky's first commercial distiller, this immersive experience brings to life the history and tradition of Kentucky's native spirit. All ages are welcome to tour the Evan Williams Bourbon Experience. However, you must be 21 years of age or older to enter the tasting rooms at the end of the tour. There's no experience quite like a once-in-a-lifetime chance to spend a morning on the backside at Churchill Downs Racetrack where you can get a behind the scenes view of Thoroughbred racing at the "World's Most Legendary Racetrack." Along with more than 1,400 stalls that are mostly full during the peak season, enjoy breakfast in the Horsemen's Track Kitchen, see the horses training rail side, catch them during a bath and learn about life at the track. Be sure to bring your cameras because on any given day of training, visitors will get an up close and personal view of the horses, jockeys, trainers, and other connections who live the sport of horseracing! The Backstretch Breakfast Tour also includes admission to the Kentucky Derby Museum where guests can access two levels of family-friendly interactive, permanent, and temporary exhibits, "The Greatest Race," a 360-degree immersive sound and visual experience that'll get the heart racing and emotions soaring, daily Historic Walking Tour of Churchill Downs Racetrack, a chance to meet our resident Thoroughbred and miniature horse and access to the Finish Line Gift Shop. Take country music's greatest legends, mix in today's biggest superstars, add the hottest new voices on the charts & you have the world-famous Grand Ole Opry. Known as the undisputed home of country music, the Opry is an attraction for hundreds of thousands of fans & visitors every year. See a fabulous performance at the world famous Grand Ole Opry, showcasing the best in country, bluegrass and more. The all-new Elvis Presley's Memphis; A state-of-the-art entertainment and exhibit complex offers a fully-immersive Elvis and pop culture experience to celebrate the most popular entertainer of all time. While the Graceland Mansion Tour continues to present the personal side of Elvis's life, across the street at the all-new entertainment complex, guests can enjoy exciting and engaging exhibitions, attractions and visitor experiences in a 200,000 square foot, state-of-the-art, climate-controlled facility. 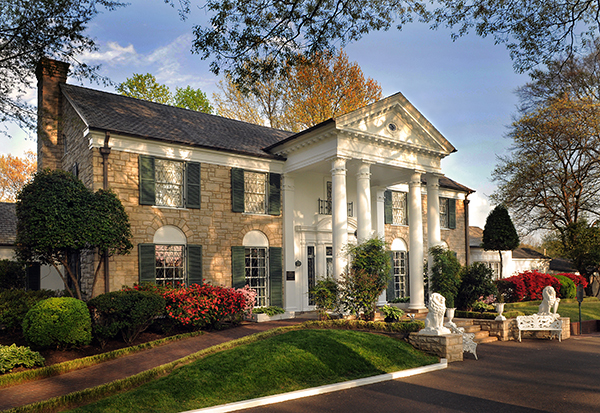 Mansion Audio-Guided Tour & Orientation film, full access to the state of the art Visitor Entertainment Complex, Elvis's two custom airplanes, Presley Car Museum, Elvis: The Entertainer Career Showcase Museum, and Elvis Discovery Exhibits. The permanent exhibits at the William J. Clinton Presidential Library and Museum reflect the events, ceremonies, day-to-day workings of the White House, the lives of the President and the First Family, and the accomplishments and work of the Clinton Administration. The exhibits display the story of President Clinton's life before becoming president, during his terms in office, as well as his post-presidential work. The Clinton Presidential Library is ADA compliant and the museum is fully handicapped accessible. Wheelchairs (manual only, no electric) are available at the lobby admission desk. No reservations are required and there is no charge. The Memorial Museum is an interactive learning experience that takes you on a chronological self-guided tour through the story of April 19, 1995, and the days, weeks and years that followed the bombing of Oklahoma City's Alfred P. Murrah Federal Building. The story tracks the remarkable journey of loss, resilience, justice and hope. The Outdoor Symbolic Memorial is a place of quiet reflection. This Memorial honors those who were killed, those who survived and those changed forever on April 19, 1995. It encompasses the now-sacred soil where the Murrah Building once stood, as well as the surrounding area devastated during the attack. This program provides Museum visitors the opportunity to hear from people directly impacted by the bombing, whose remarkable stories evoke feelings of compassion, hope, and inspiration to live our lives more meaningfully. Don't miss this opportunity to experience history ï¿½ and the Oklahoma Standard ï¿½ from those who lived it. Welcome to the Jack Sisemore Traveland RV Museum. The Sisemore's began restoring and collecting unusual vintage RVs over 25 years ago. They have built a museum that houses many of the RVs in their collection. These include the Flxible Bus from the movie "RV," the 1st Itasca motor home ever built. The oldest Fleetwood in existence and many other RVs from the 30s, 40s, 50s, 60s and 70s. Step back in time, reminisce and enjoy the progression of the RV industry from its inception till now. Museum does not have air conditioning. Step into the Big Texan Steak Ranch and you're taking a giant step back to the rowdy, rip-roaring days of the late 1800s. As you cross the threshold you will feel the excitement shared by thousands of visitors each year. Laughter echoes above the sizzle of steaks on the open grill and the buzz of conversation. The strolling musicians may be strumming "The Yellow Rose of Texas," or "Amarillo by Morning." Mouths begin to water as the savory smell of smoke and good beef fill the air. Eyes open wide as they take in the old-fashioned bar, the giant rocking chair, the Magician entertaining in the lobby and the lure of thousands of intriguing items in the gift shop. Cadillac Ranch is located along the tatters of historic Route 66. Built in 1974 it was the brainchild of Stanley Marsh III, a helium millionaire who owns the dusty wheat field where it stands. The ten graffiti-covered cars are half-buried, nose-down, facing west. Visitors are encouraged to add their own graffiti. A trip on the world's longest aerial tramway transports you above deep canyons and breathtaking terrain over a distance of 2.7 miles. See some of nature's more dramatic beauty unfold before you. From the observation deck atop 10,378 foot Sandia Peak in the Cibola National Forest get an 11,000 square-mile panoramic view of the Rio Grande Valley and the Land of Enchantment. Located on the eastern edge of Albuquerque in the Sandia Foothills at the end of Tramway Road. 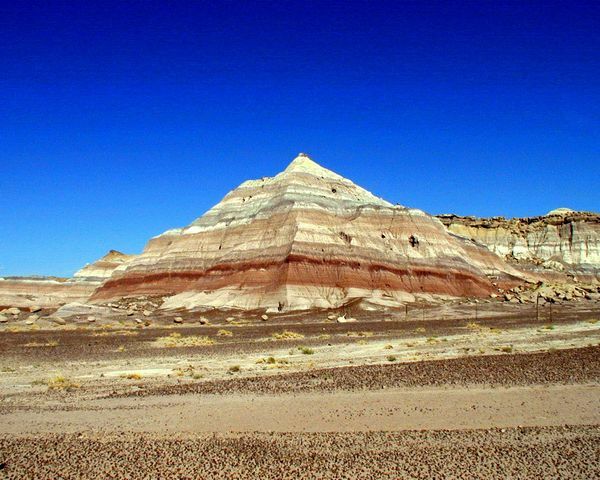 One of the most colorful and fascinating places to be found in Arizona is the Petrified Forest National Park. Located in the northeastern part of the state, it is abundant with geological history and can offer you the chance for an experience of a lifetime. The Petrified Forest is next to the scenic Painted Desert. For the first few miles you'll travel through the Painted Desert and have a chance to stop at many of the scenic viewpoints of the multicolored landscape. For more than 40 years, Pink Jeep Tours has provided unrivaled excitement and adventure with guided Jeep tours over and around the beautiful red-rocks of Sedona. Escape to the astonishing trails of Sedona's hidden canyonlands where flora, fauna and geological history take center stage. 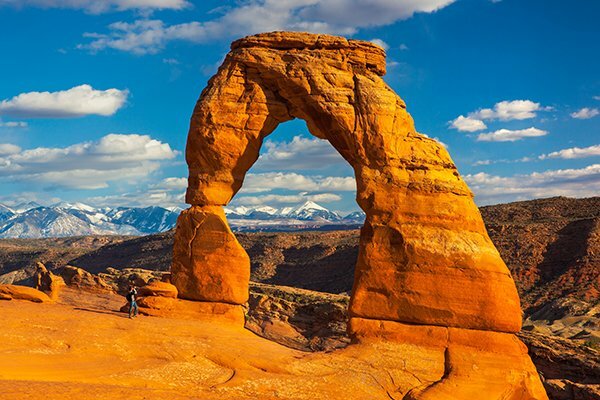 Soaring red rock formations and cobalt-blue skies are the backdrop for this beautiful, information-packed tour. Tours are not recommended for pregnant women, persons with back or neck problems, or persons with serious injuries. Wear comfortable walking shoes and outdoor clothing. Sunscreen & hats are recommended. Contact lenses wearers may wish to switch to eyeglasses. Feel free to bring cameras & camcorders. Western Spirit: Scottsdale's Museum of the West celebrates the art, history and unique stories of the 19 states comprising the American West. The rotating exhibitions feature hundreds of Western artworks and rare historic artifacts on loan from some of the world's foremost collectors and institutions. The contemporary, 43,000-square-foot building is an architectural gem that meets the highest standards for sustainability and conservation of natural resources. Visitors also will enjoy the informative video kiosks, beautiful outdoor sculpture courtyard, museum store, and inspirational film "Spirit Is." Located in downtown Scottsdale's arts district. The museum has two, push wheelchairs on-site that guests can sign out at the main Visitor Services desk. The wheelchairs are free-of-charge, and available on a first-come, first-served basis. One of the most visited San Diego attractions is Old Town San Diego by both residents and tourists. What attracts so many to this small area of San Diego is the history and culture that remains a part of old town. There are over 25 restaurants in a mile radius all offering authentic and cultural cuisine. Founded in 1916, the Zoo has been an icon in San Diego for nearly 100 years ï¿½ and an absolute must-see in Southern California. Spend the day monkeying around in their tropical oasis as you visit beautiful habitats that are home to gorillas, eagles, tigers, sun bears, Asian leopards, rare reptiles, a palette of colorful birds, and more. 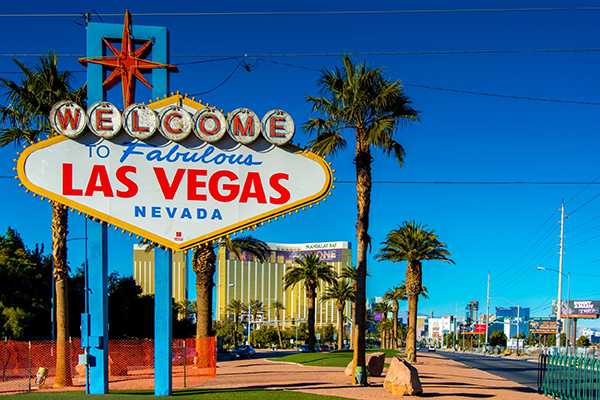 Included in Admission: Guided Bus Tour, Kangaroo Express Bus, Skyfari aerial tram, and all regularly scheduled shows and exhibits. There are several eateries on the property. Rentals: Lockers, bag-check, wheelchairs, and motorized wheelchairs are available for rent on a first-come, first-served basis near the entrance. Take in the sights, sounds and stories of the bay on a relaxing 2 hour Full Bay Tour. Enjoy a unique perspective on San Diego that you can only get from the water. Your professional local guide will share entertaining facts and history that helped to shape the city's distinctive waterfront. Luxury ship features three levels with comfortable indoor and outdoor seating, 360-degree views, and an onboard snack bar serving snacks, soda, beer, wine and cocktails. Our North Harbor and South Harbor tours explore unique scenic waterfront architecture, landmarks, sea life and spectacular photo opportunities. Dressing in comfortable layers is recommended. Temperatures and winds can often be unpredictable. For daytime cruises, don't forget sunscreen and a hat. San Diego Bay waters are usually very calm and seasick incidents are not common. If you are prone motion sickness, it is recommended you take any medication before boarding the vessel. The vessel and interior main deck are ramp accessible but the exterior top deck and restrooms are not. Famous for the Annual Return of the Swallows, Mission San Juan Capistrano was named after an Italian saint, St. Giovanni da Capistrano, who was born in 1386. This historic landmark and museum welcomes over 300,000 visitors each year. Docent guided tours truly enhance your experience at the mission. Docents, dressed in red and black attire, do a wonderful job of hosting you through the 10 acres of museum rooms, exhibits, gardens, fountains and more; providing you with the details of California's early history and the birthplace of Orange County. Mission grounds are rough and irregular. Due to the historic nature of the site, some areas and museum rooms are not wheelchair accessible including the 18th century South Wing. Warner Bros. Studio Tour Hollywood brings you closer than ever to the entertainment you know and love. Get ready to experience one of the busiest movie studios in LA as you explore their iconic backlots, DC Universe: The Exhibit, and original Batmobiles. Plus, you'll view one of their many soundstages where today's hottest TV shows and movies are made. With actual filming happening all around you, no two Warner Bros. tours are ever alike. For the grand finale of your Studio Tour experience, you'll visit Stage 48: Script to Screen. This interactive soundstage explores key phases of the entertainment production process. From the Central Perk set to riding a broomstick like Harry Potter with our green screen experience, this self-guided experience offers a truly immersive look at how the magic of Hollywood is made. Experience what has been celebrated as one of the best studio tours in Los Angeles. All adult visitors 18 years of age or older will be asked to present a valid form of government issued photo identification. "Please note: without a valid photo ID, visitors will not be allowed onto the backlot. Children under 8 are not permitted on tour. Tour will include Hollywood, Hollywood Bowl, Mann's Chinese Theatre, Hollywood Walk of Fame, and more! A powerful and inspiring landscape, the Grand Canyon overwhelms our senses through its immense size; 277 river miles long, up to 18 miles wide, and a mile deep. Our guided sightseeing tour begins at the Watch Tower on the East Rim and ends in the Village for lunch and free time. Your evening begins on the Colorado Riverside, two miles north of Moab, Utah. You will be served a cowboy-style Dutch oven dinner in a dining room overlooking the Colorado River. After dinner, you will board a flat-bottomed boat and head up river with a knowledgeable and entertaining guide who will point out things of interest and ignite your imagination. Once darkness settles in, the formal part of the evening begins with 40,000 watts of natural light illuminating the canyon wall. Lights, shadows, music, and narration make the stories of the canyon's formation, creation, and history come to life on the walls above the river - as learned from the early settlers of the area (the Catholic conquistadors, Native Americans, and Mormon pioneers). The Canyonlands by Night and Day Sound and Light Show is a not-to-be-missed unique experience and a great end to a perfect day in Moab. Dress casually and bring a light jacket as it does get cool in the evenings. If you get cold easily, you should consider long pants. When the mighty Steamboat Arabia sank near Kansas City on September 5, 1856, she carried 200 tons of mystery cargo. Lost for 132 years, its recovery in 1988 was like finding the King Tut's Tomb of the Missouri River. Remarkably preserved clothes, tools, guns, dishware and more. The discovery was truly a modern day treasure-hunting story at its best. Enjoy a guided tour of the Arabia's remarkable treasures. Your tour will include a short film presentation about the life and rediscovery of the Steamboat Arabia. Pass beside the Arabia's engines and boilers located on the 171-foot-long replicated wood-planked deck of the Arabia. There are no stairs to climb and seating is available throughout the museum. During your visit you can browse the gift shop and discover your own treasures unique to the Arabia Steamboat Museum or memorabilia of your visit to Kansas City, Missouri. The Bingham-Waggoner Estate, sitting on over 19 acres near the Independence Square is truly a one-of-a-kind gem in Independence, Missouri. This well preserved Estate, with more than 90% original furnishings, carpets and paintings, provides insights into the lifestyle of the 19th century wealthy residents. Beginning in 1847, the enslaved Dred Scott twice sued for his and his wife Harriet's freedom. But, the U.S. Supreme Court decided against them, ruling that African-Americans were not citizens and had no right to sue. In 1873, St. Louis suffragette Virginia Minor and her husband filed a civil suit arguing for women's right to vote. Although their suit was denied, they brought great attention to the fight for voting rights for all U.S. citizens. A visit to the Gateway Arch National Park Riverfront is not complete without going to the top of the tallest national monument in the United States standing at 630 feet tall. At the highest point in downtown St. Louis, you'll experience unforgettable views of the city and the Mississippi River. Trams travel at an average speed of 4mph and are very quiet and completely safe. At this speed, most people do not experience discomfort in the short ride. The top of the Arch is not fully accessible to visitors with mobility impairments. The brand new Gateway Arch Museum traces the story of the Native Americans, explorers, pioneers, and rebels who made America possible. Featuring six themed exhibit areas, this innovative and interactive museum celebrates America's pioneering spirit. Relive the days when steamboats ruled the river on this one-hour cruise along St. Louis' diverse riverfront. Narrated by the captain or a National Park Service Ranger, this cruise highlights the Mississippi River's important role in St. Louis history and the significance of the working river today. On board concessions are available. Kiss The Bricks Tours includes admission to Indianapolis Motor Speedway Museum, one lap around the IMS oval with recorded audio commentary by Donald Davidson, guided tour and the option of getting off the bus at the World Famous "Yard of Bricks." Indianapolis Motor Speedway Museum, is recognized as one of the most highly visible museums in the world devoted to automobiles and auto racing. The museum's collection encompasses race cars from many series: IndyCar, NASCAR, Formula One, Sprint, Midget, motorcycle races, and drag racing. Two of their tour buses are wheelchair accessible with a limited number of manual wheelchairs available free of charge for guests. The world's only facility dedicated to the living heritage of rock and roll music. Designed by I.M. Pei, the $92 million structure towers above Lake Erie's shore at North Coast Harbor. The new Hall of Fame wows visitors with high-impact multi-media production combining film footage, music, interviews, animation and still photography to tell the stories of inducted rock and roll legends. An onsite cafe serves light refreshments and food. No food, beverage, drugs, cans, glass containers, weapons, or any kind of contraband ae allowed into the museum. All backpacks, large bags or luggage must be checked in at coat check or taken back to the coach. Welcome to Hofbrauhaus Cleveland, modeled after the legendary 400+ year-old Hofbrauhaus in Munich, Germany! Guests are able to enjoy many of the traditions from Germany that have made Hofbrauhaus famous. From the traditionally decorated rooms in the building to the beer that is brewed on-site, and of course the excellent German fare, Hofbrauhaus Cleveland is a memorable experience for all. -Coyote Canyon Jeep Tour - Tours are not recommended for pregnant women, persons with back or neck problems, or persons with serious injuries. Spirit of San Diego - San Diego bay waters are usually very calm and seasick incidents are not common. If you are prone motion sickness, it is recommended you take any medication before boarding the vessel. The vessel and interior main deck are ramp accessible but the exterior top deck and restrooms are not. A valid government-issued driver's license, a valid state-issued identity card (U.S. guests only), a valid passport. "Please note: without a valid photo ID, visitors will not be allowed onto the backlot. Your safety and security are important to us here at Warner Bros. We require guests to pass through a metal detector prior to entering the Tour Center. Please note bags are subject to search prior to entering the Tour." Canyonlands by Night Dutch Oven Dinner - Dress casually and it's a good idea to bring a light jacket as it does get cool in the evenings. If you get cold easily, you should consider long pants. Rock N' Roll Hall of Fame - No food, beverage, drugs, cans, glass, containers, weapons, or any kind of contraband are allowed into the museum. All backpacks, large bags or luggage must be checked in at coat check or taken back to the coach. Rock N' Roll Hall Of Fame will not be held liable for any item of personal property or its contents lost or damaged at coat check. Jack Sisemore Traveland RV Museum does not have air conditioning. -Louisville Slugger Museum - The museum and factory are handicap accessible, with open-captioning and listening devices available in their theater. The regular tour does include some steps, but a handicap accessible door allows this area to be bypassed. Churchill Downs - The Museum and the Historic Walking Tour are wheelchair accessible. Free wheelchair rentals are available on a first-come, first-served basis upon request. You are welcome to bring your own manual wheelchair, motorized wheelchair, or electric mobility scooter. Coyote Canyon Jeep Tour - Tours are not recommended for pregnant women, persons with back or neck problems, or persons with serious injuries. Western Spirit Museum - The museum has two, push wheelchairs on-site that guests can sign out at the main Visitor Services desk. The wheelchairs are free-of-charge, and available on a first-come, first-served basis. A photo ID is required to sign out each wheelchair. San Diego Zoo - Lockers, bag-check, wheelchairs, and motorized wheelchairs are available for rent on a first-come, first-served basis near the entrance. Spirit of San Diego - San Diego bay waters are usually very calm and seasick incidents are not common. If you are prone motion sickness, it is recommended you take any medication before boarding the vessel. Mission San Juan Capistrano - Mission grounds are rough and irregular. Due to the historic nature of the site, some areas and museum rooms are not wheelchair accessible including the 18th century South Wing. Harry S. Truman Library - Manual wheelchairs are provided to museum visitors at no charge and are available on a first-come, first-served basis. Please inquire at the admissions desk. Indianapolis Motor Speedway bus tour - Two of thier tour buses are wheelchair accessible. They have a limited number of manual wheelchairs available free of charge for guests.